State-run oil and gas companies are essential to the economies of BRICS countries, and will play a strategic role in their development, said one of Brazil’s leading economists. Marcelo Simas, an economist and professor with the National University in Rio de Janeiro, said in a recent interview that state oil companies could benefit the emerging economies including Brazil, Russia, India, China and South Africa, known collectively as the BRICS nations, for a variety of reasons, including revenue generation. “In Brazil, the oil and gas sector represents 12 per cent of gross domestic product (GDP), and in about seven years will represent 20 per cent. 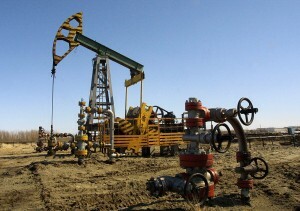 In Russia, over two thirds of exports are of natural resources, especially oil and gas. The national oil companies have an important role to play in these countries’ development,” he said. State oil firms “usually have a policy of using a high share of local goods and services, which means that when national oil companies grow, other sectors of a country’s economy grow as well,” he said. National oil companies also play a much bigger economic role today than they did in the past, when companies like Exxon, Chevron, Shell or BP controlled the market and the majority of the world’s reserves. The state oil firms’ share of the exploration market grew exponentially after the oil crisis in the 1970s and the nationalization of private oil companies in that same decade. Today, most of the world’s oil reserves are controlled by state-owned companies, leaving only a small portion for private firms, which have to move their focus to refining and fuel distribution. “Thirteen national oil companies are responsible for three quarters of the world’s oil reserves. They are, today, in a very comfortable position,” Simas said. However, that scenario could change as the exploration of the recently discovered shale gas and oil reserves in the US is in the hands of private companies. If confirmed, those reserves could end or at the very least significantly reduce US dependency on oil and gas imports, and could trigger considerable shifts in the geopolitics of oil. But that remains to be seen, as the reserves are yet to be confirmed, with exploration posing potential environmental damage due to the high risk of water contamination. Thus, state-controlled oil firms could be expected to retain their dominance in the market for several years. BRICS oil companies already have good ties between them, said Simas, noting Petrobras has contracts with China’s Sinopec. And the cooperation is very likely to grow in the next few years, as state oil companies tend to seek allies among their counterparts in other countries. In addition, they will most likely expand their business in the next decades, becoming energy companies instead of oil companies. That’s already the case for Petrobras, which is investing in biofuels and other alternative energy sources.